From Petro Hazards To Warfare Agents, Zytron® 300 Is A True Performance Fabric. Zytron® 300 is ideal for demanding hazardous applications where there is potential for chemical splash, even in significant exposure scenarios. Increased physical strength and even broader chemical holdout take the protection level of this fabric up a serious notch. With an extensive chemicals-tested list, Z300 a real workhorse of the Zytron family, available in a wide range of garment types and styles including NFPA certified styles. Ideal for demanding applications with potential for chemical splash. Increased physical strength and broad chemical holdout take the protection level up a serious notch. Available in seven NFPA certified styles. Excellent for petrochemical operations including chemical handling and maintenance work – a favorite for military operations. A real workhorse of the Zytron family, available in a wide range of garment types and styles. Rear entry style shown provides protection in front-splash scenarios. Attached gloves are available on any heat sealed/taped seam garment. Attached sock booties with splash guards are standard. 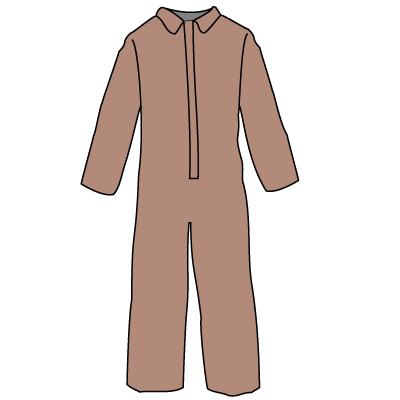 Typical Applications: Hazmat response, military operations, law enforcement drug response, chemical handling, petrochemical handling and maintenance. ChemScan® labels – quick, accurate and only from Kappler. Scan the label with your phone’s QR reader for a complete list of chemicals tested against your garment’s protective fabric. Hood and Boots, Zipper Front, Elastic Wrists and Face Opening. 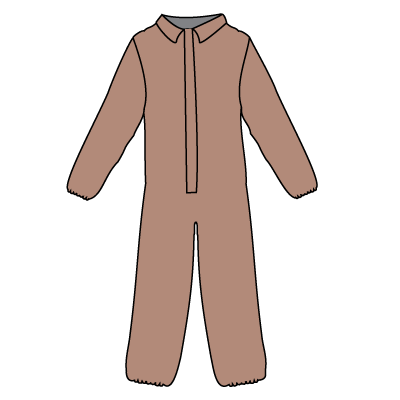 Zipper Front, Collar, Elastic Wrists and Ankles. 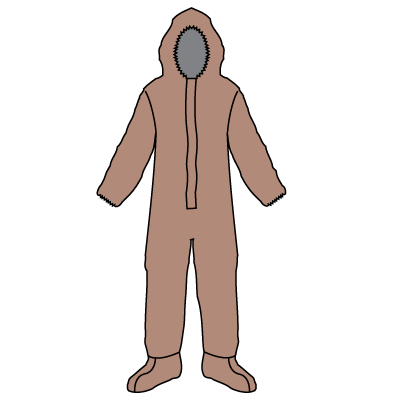 Zipper Front, LongNeck™ design with Extended Zipper Closure, Attached Hood, Elastic Wrists and Face Opening, Attached Sock Booties with Splash Guards. 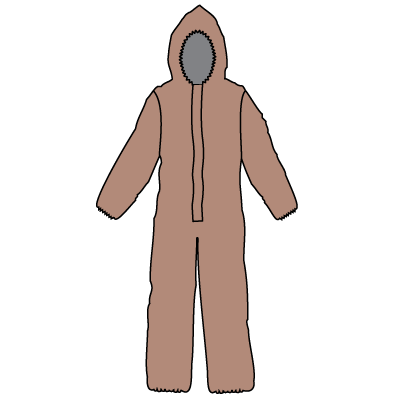 Zipper Front, LongNeck™ design with Extended Zipper Closure, Attached Hood, Elastic Wrists, Ankles and Face Opening. Rear Entry, Expanded Back, Large PVC Visor, 1 Exhaust Port, Elastic Wrists, Attached Sock Booties with Splash Guards, Single Heat Sealed/Taped Seams, Double Storm Flaps with Hook and Loop Fasteners & Cloth Zipper. Rear Entry, Flat Back, Side Air Inlet, Large PVC Visor, 1 Exhaust Port, Elastic Wrists, Attached Sock Booties with Splash Guards, Single Heat Sealed/Taped Seams, Double Storm Flaps with Hook and Loop Fasteners & Cloth Zipper. 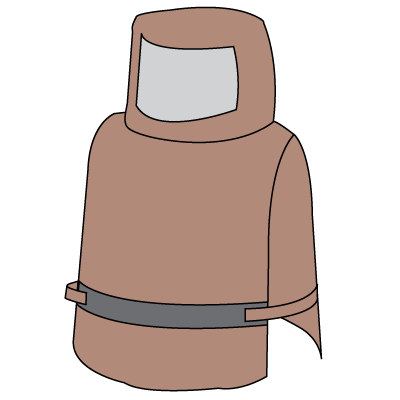 Elastic hood opening with special design for better fit against respirator, with attached gloves and sock boots. 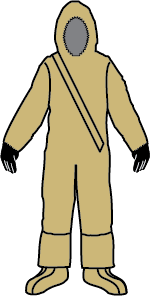 Front zipper extends diagonally across chest up into hood for easier donning/doffing. Zipper opening has double overlapping storm flap with Hook and Loop closure. Double glove system with Neoprene Outer Glove and Film Inner Glove permanently attached to sleeves. Sock boots with splash guards (worn inside outer work boots). Boot splash guards have elastic edge. Front entry. 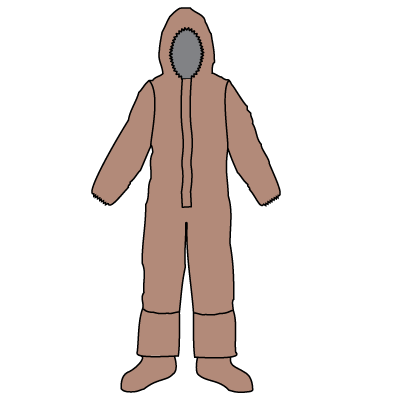 Elastic hood opening with special design for better fit against respirator, with attached gloves and sock boots. 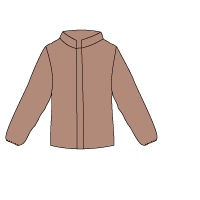 Front zipper extends diagonally across chest up into hood for easier donning/doffing. Zipper opening has double overlapping storm flap with Hook and Loop closure. Single Neoprene Glove permanently attached to sleeves. Sock boots with splash guards (worn inside outer work boots). Boot splash guards have elastic edge. Front entry. 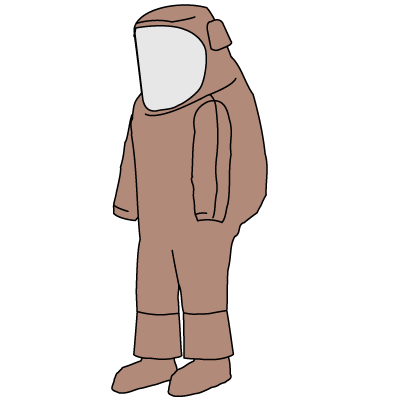 Splash Protective Total Encapsulating Suit, Rear Entry, Expanded Back, Expanded View AntiFog Visor System, AttachedNeoprene Gloves, Sock Booties with Splash Guards, 2 Exhaust Valves, Urethane Zipper has Double Storm Flaps with hook & Loop Fasteners. Splash Protective Total Encapsulating Suit, Front Entry, Expanded Back, Expanded View AntiFog Visor System, AttachedNeoprene Gloves, Sock Booties with Splash Guards, 2 Exhaust Valves, Urethane Zipper has Double Storm Flaps with hook & Loop Fasteners. * Industrial chemical testing was conducted in accordance with ASTM F 739 with normalized breakthrough times reported in minutes. Note: These tests were performed in accordance with ASTM standards by independent laboratories. 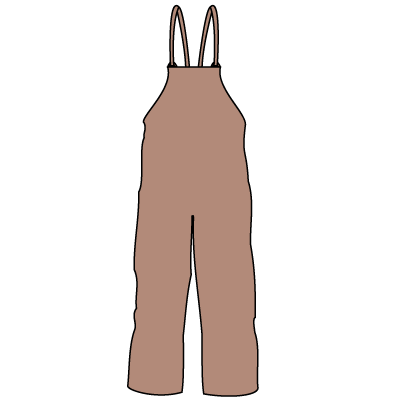 This data is derived from tests performed on material samples only, not finished garments. Sources for all chemical test data are independent laboratories. All tests were performed under laboratory conditions and not under actual use conditions. Tests were performed on material samples, not actual garments. All chemicals tested at 95% and 75° F except Sodium Hydroxide, tested at 50%. Need to see all the chemicals tested against the Z400 Fabric? 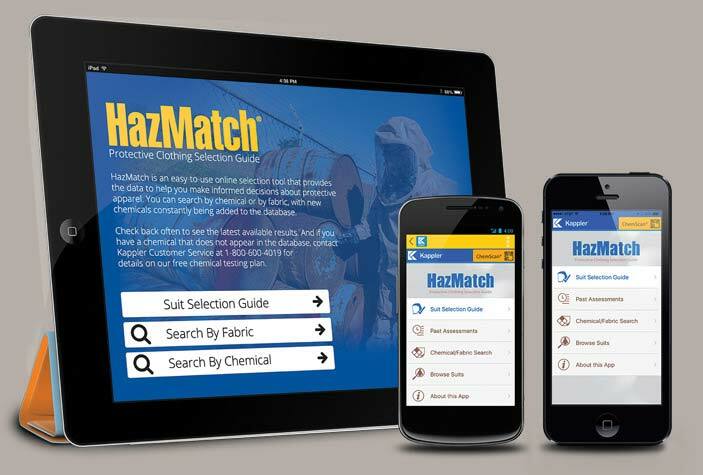 Check HazMatch® For Complete Chemical Test Results. The details shown here represent only a fraction of the chemicals tested against Kappler fabrics – a list that’s constantly being expanded. The latest list of chemicals in the Kappler database is always available via HazMatch – get the mobile app or use the online application here. If you don’t see your specific chemical, click here for details on Kappler’s free testing program.